Ok ok so I have to say I am a sucker for candles I love (when I finally get a moment) a candle lit bath and a glass of wine some calming music to relax to. It smells gorgeous, and looks timeless almost so pretty I didnt really want to light it but needs must. The candle in itself is a simple and sophisticated style with a which lacks with clear black writing. It has all the essential details on the label, candle name, it's short description of its fragrance and website and brand details. The fragrance itself is described on the website as ' Its scent is floral like jasmine, sweet like orange blossom honey, earthy and intoxicating. 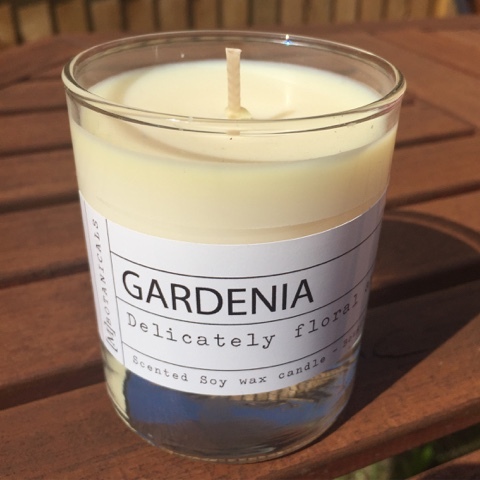 If you like heavy floral scents you will love our Gardenia'. It's a gorgeous sweet smelling candle and the best part it's hand poured, it's not mass produced and each candle is made with love. There are 6 fragrances to collect and come in a 20cl glass tumbler and burn between 38-40 hours. 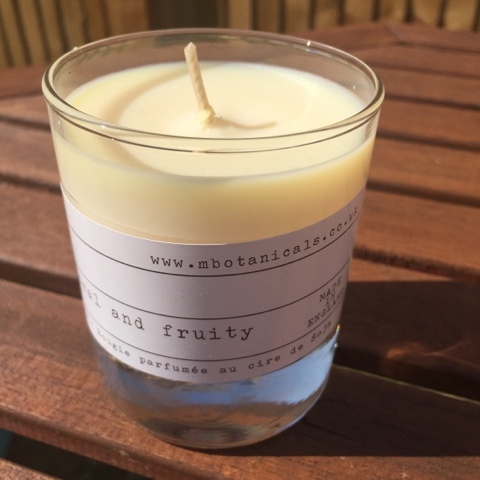 They are made completely from soy wax and are completed with phthalate free fragrance and essential oils. I think they look timeless and Gardenia sells incredible. They are price pointed between £15/16 and can be ordered from here. And to make this an extra special post you have the opportunity to own one of these gorgeous candles yourself. [M]BOTANICALS have given me the chance to run a competition here on my blog. Once drawn, the winner will be contacted via the email provided and have 28 days to respond. – All entries will be moderated and duplicate, false or incomplete entries will be deleted. Please follow the instructions carefully – there are a couple in there designed to give long-term readers an extra chance, but the answers are easy to find if you look hard enough..! I lovee this simple design! I've been seeing it on a lot of new candles recently but I still haven't bought one myself yet :( I'm not hugely into strong floral scents but I'll have a look to see what other scents they have! Thank you! I adore candles and light them all year round, more so in the Autumn and Winter though! I love candles, I burn pumpkin/chocolate/spice candles in the kitchen and fruity/floral scents in the lounge. 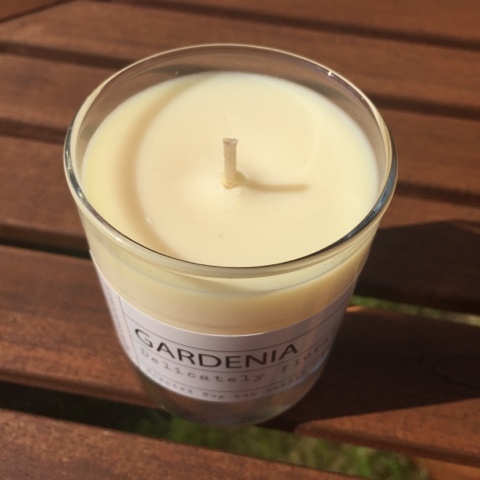 What a great post and competition, these candles sound lovely! I love love love these! I think o saw another blog mention them and the branding just appeals to me. Modern and great!